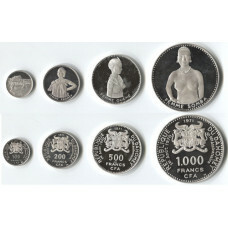 Dahomey-Benin, Proof Silver Set 1971, 10th Anniversary of Independence, consisting of 1000 Francs, 5..
Great Britain 1911, King George V, Coronation Proof Silver Set, Half Crown to Maundy penny, 8 Coins ..
Haiti 1967/1970 , Proof Gold and Silver Set in the org. 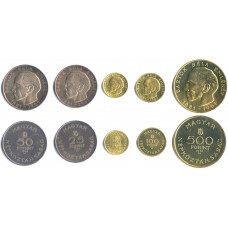 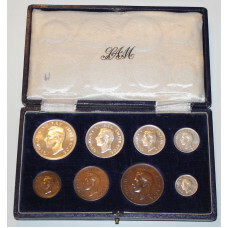 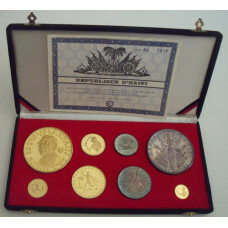 luxury box with Certificate No 1210, the S..
Hungary One Proof Gold / Silver Set 1961, consisting of 500 Forint Gold Coin,100 Forint Gold Coin, 5..
Jersey, Proof Gold & Silver Set 1972, 25th. 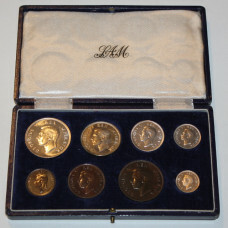 Royal Wedding Anniversary, Queen Elizabeth and Princ.. 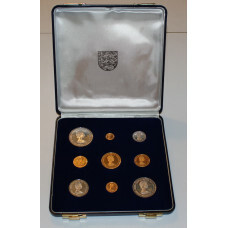 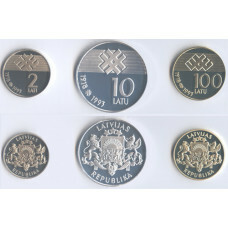 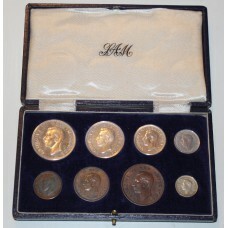 Proof Set 1993, consisting of 100 Latu Gold Coin, 10 Latu, Silver Coin / 2 Latu, in org box with Cer..
Portugal, Series II, Prestige Proof Set 1989 /90, the Conquest of the Atlantic, 4 Proof Coin Set in ..
Portugal , 1991/92 Series III Prestige Proof Set, The Discovery of America /California,4 Proof Coin..
Portugal 1993, Series IV Prestige Proof Set, Portugal meets Japan, 4 Proof Coin Set in Gold, Platin..
Portugal, Proof Set 1998 Series IX , Prestige Proof, Portugal, Vasco da Gama and the Seaway to India..
South Africa 1944, Proof Set, King George VI, consist of 5 Proof Silver Coins 2.5 Shilling /2 Shilli..
South Africa, Proof Set 1945, King George VI, consist of 5 Proof Silver Coins, 2.5 Shilling /2 Shill..
South-Africa 1943, Proof Set, King George VI, consist of 5 Silver Proof Coins 2.5 Shillings / 2 Shil..